Understand what pinned lists are. Set up pinned lists for a console. Customize pinned lists to boost productivity. Some support teams live in lists. 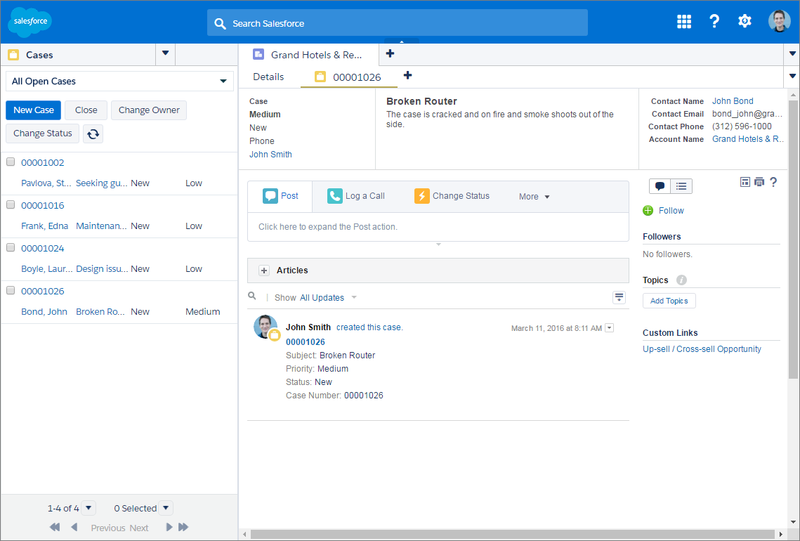 Workdays, workloads, and support agent workflows often center around case lists that represent incoming customer questions and the need to answer them as soon as possible. Sometimes case lists act as a daily to-do list for a team. They show agents the next case to work on, and they give a preview of a few case fields so that agents have a good idea about what to expect from a case. 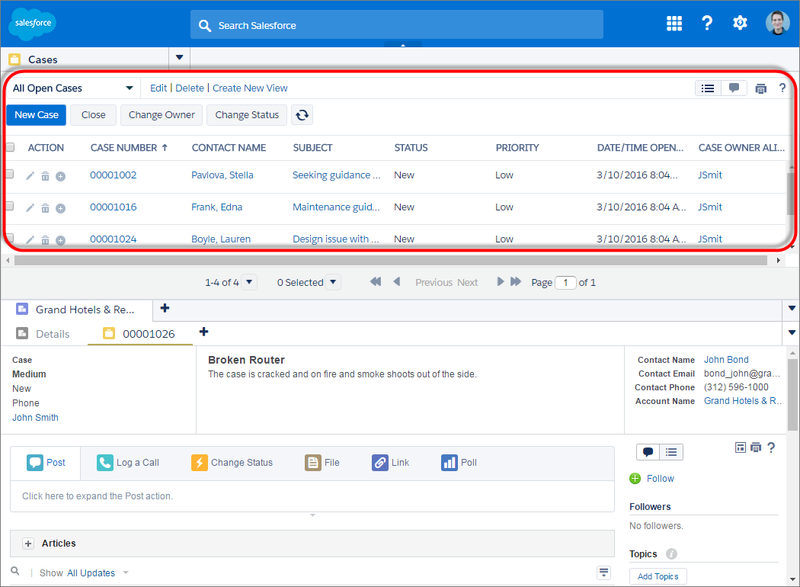 If you’ve explored the Work with List Views unit in the Lightning Experience for Salesforce Classic Users module, you already know that lists are customizable views of similar records. 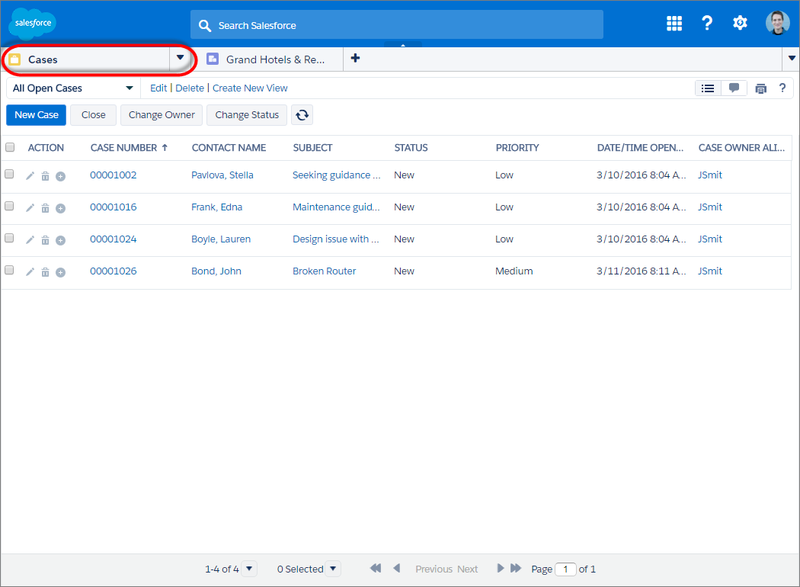 Anyone can create lists to see records that match specific criteria, such as new cases created today from emails, cases closed last week, or cases owned by any clowns. Your team’s cases might not be owned by any clowns, but know that you could customize case lists to filter by that criteria if necessary. Case queues—a team’s shared workload of cases—are also represented by lists. If you have automated case management, such as some agents are assigned to premium support, you can use lists to group those cases and make them easy to access. That’s where pinned lists come in handy. For each console you create or customize, you can decide how lists appear to agents. Your agents may prefer a workflow where they scan case lists from the left of the screen, the top of the screen, or perhaps they don’t want to see lists on the screen at all. You can customize any console to include one of these three list options. Lists pinned to the left of the screen. Lists pinned to the top of the screen. No lists pinned to the screen—lists are only available from the navigation tab. Customizing pinned lists is easy. In fact, you can do it in four simple steps. Read on! We’ll assume that you’ve asked your support team this question: “How do you want lists to display in a console?” When you asked them if they found lists more useful on the left or top of the screen, the majority of agents said, “Left, because I read from left to right.” With this crucial information, we’re ready to customize console lists so that they boost the productivity of your support agents. From Setup, enter Apps in the Quick Find box, then select Apps. Next to the Sample Console, click Edit. In Choose List Placement, select pinned to left, and add a list width of 30%. That’s it! Now, let’s check out the Sample Console’s new pinned lists by either clicking Back to Sample Console or choosing Sample Console from the App Picker. What if your support agents want to hide the pinned list to see more of the screen? Tell them to hover their mouse pointer over the margin and click the arrow. What if your support agents want to change the pinned list’s size? Tell them to click the margin of the list and drag it to the size they want. You now know how to customize pinned lists in a console for your support team. In Lightning Experience, split view replaces pinned lists. Split view is enabled by default in Lightning Console apps, and users can open or minimize split view. 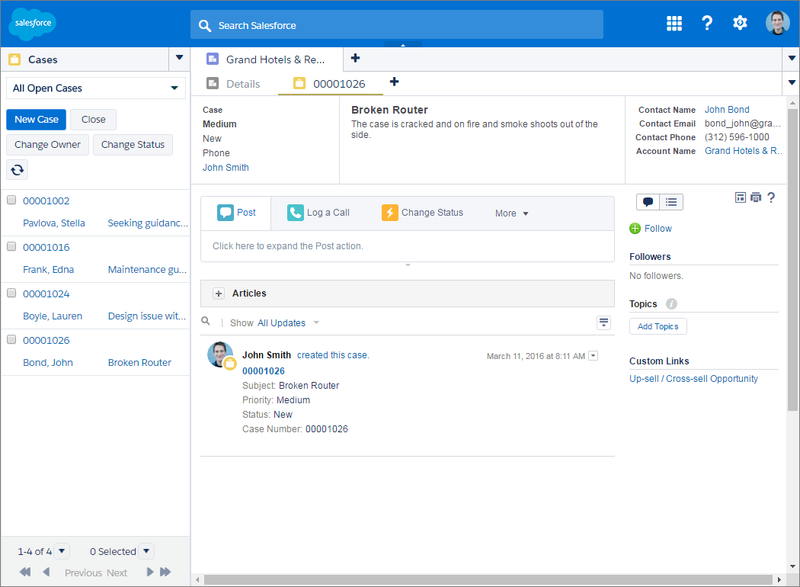 If you want to kick pinned list customization up a notch, and you’re comfortable with code, you can build custom list views with a combination of Visualforce and the Console API, which is otherwise known as the Service Cloud Console Integration Toolkit (yeah, that sounds intimidating). 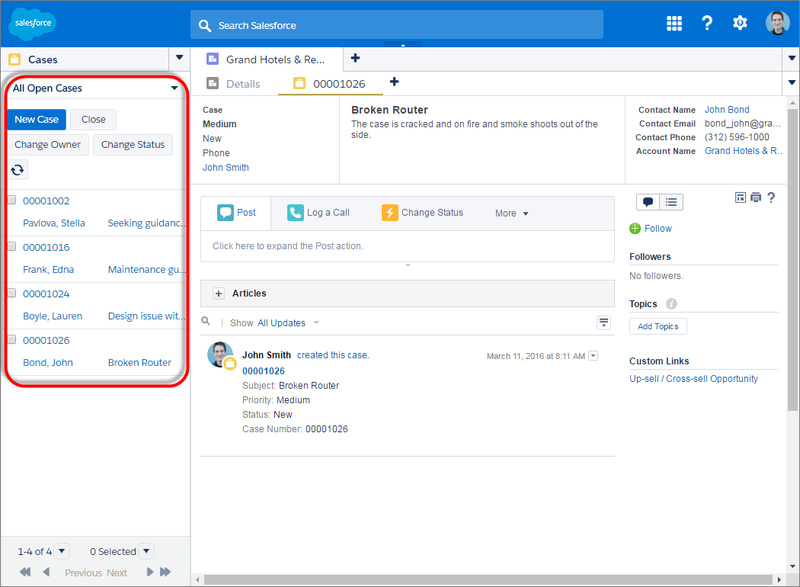 To learn more, and check out a code sample, see the end of the Service Cloud Console: Working With Lists blog post.